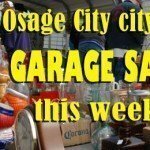 The Osage County Fair Association worked hard this year to have this be one of the best fairs so far. Activities from Wednesday, June 27, 2018, through Saturday, June 30, included exhibits, 4-H activities and competition, Chamber of Commerce Parade, live band, family fun night, pie contest, carnival, cooking demonstration, Shootin’ Hoops 3 on 3 basketball tournament, football 7 on 7 tournament, pet shows, antique tractor show and pull, kids pedal tractor pull, barnyard Olympics, 5K “Glow Run Run”, and a dance party. 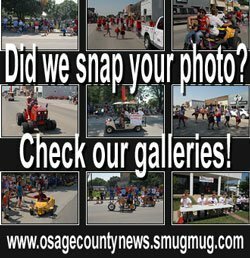 The annual fair parade, sponsored by the Osage City Chamber of Commerce, was Thursday, June 28, 2018. The theme for the parade this year was “Hats Off to Red, White and Blue”. Diane Michael, parade chairman, did a fantastic job coordinating a variety of entries including the Boy Scouts of Osage City starting the parade as flag bearers, emergency vehicles, including the city and county law enforcement, ambulance and fire department, parade marshal Mary Lou Estes and Mr. and Mrs. Osage City Jerry and Marilyn Giesy, floats, golf carts/ATVs, band, politicians, antique tractors, horses, and others. Even though the heat index was very extreme at parade time, the participants were eager to have a great time and the spectators seemed to enjoy the entries. The float entry awards went to first place, $125, Conklin Plumbing; second place, $100, Friends of Pomona State Park; third place, $75, Republican Women; fourth place, $50, Lyndon Leaders 4-H Club. The golf cart and ATV awards went to first place, $30, Boyd Woodyard; second place, $20, First National Bank of Kansas; third place, $10, April Pete. 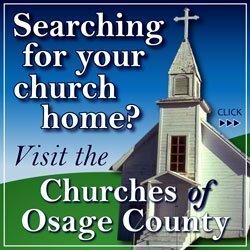 The Osage City Chamber of Commerce and Diane Michael, parade committee chairman, would like to take this opportunity to thank those that participated in the 2018 Osage City Fair Parade. This year, the Chamber had a coloring contest for grades first through sixth. The entries submitted were well done and the selection was difficult. Eight winners were selected to ride on one of the fire trucks in the parade. The winners were first grade, Devin Theel and Ashlyn Nihiser, second grade, Kaylee Theel and Jordyn Lickteig, third grade, Sophia Brabb, fourth grade, Justin McKnight, fifth grade, Kasen Parsons, sixth grade, Maddie Renfro. All of the submitted entries are in the vacant store windows at Sixth and Market streets. Please take a moment to take a look at some of the young artists in the community. 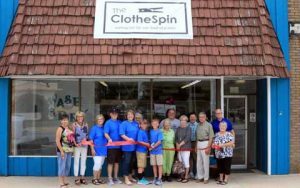 The Osage City Chamber of Commerce conducted a ribbon cutting in June for The ClotheSpin, the downtown laundromat. The facility at 505 Market St., Osage City, was purchased by Kelli Bowin in February and underwent a complete renovation. Kelli said she is happy to be a partner in the downtown. The ClotheSpin has two 40-pound washers, several front loading machines, and eight front loading dryers. It is open 8 a.m.-9 p.m. daily.